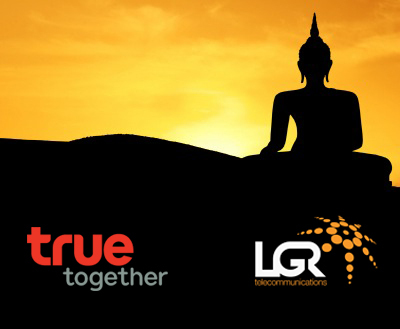 So it’s official – True Corporation, a large quad-play operator in Thailand, has selected CDRlive as the primary platform for its new Enterprise Data Warehouse (EDW). It’s been a long time coming, with a rigorous vendor selection process that lasted nearly 18 months, but in the end, LGR and Oracle have come out ahead of the likes of Teradata, Netezza, Greenplum and IBM. True is a large conglomerate with a business model built around converged communications services. In Thailand, it is the market-leader in broadband, pay-TV and VOIP services, and it’s wireless division (True Move) is one of the largest operators on SE Asia with close on 20m subscribers. With all this communications ‘real estate’, True was looking for an EDW that could first and foremost provide a single view across all of its lines of business, thereby ensuring that like its services, its business intelligence was also converged at an executive level rather than residing in departmental silos. Beyond that, True also needed an EDW platform that could provide real-time insight into each customer’s experience of its various services. The benefits are obvious – faster trouble-shooting, better customer service, optimized products and services and ultimately increased ARPU. Also of note is that True has decided to deploy the CDRlive solution on Oracle Exadata, and has ordered a full rack of the Oracle Database Machine. This makes it the first telco globally to deploy on Exadata since the products launch a few months ago. LGR’s deep involvement with Exadata since early in the design phases has been no secret, and its experience and expertise is sure to have played a big part in True’s decision to opt for this market-leading product. The first phase of the CDRlive roll-out will bring the True Move business online, and will focus on two key areas – Finance (including Revenue Assurance, Inter-Carrier Billing and Least Cost Routing) and Subscriber analysis.